Is it that time of the year when you have to plan your taxes and make investments? Fret not! There are numerous options available and Bank Fixed Deposits (FDs) are one of the investment tools that will help you save tax for up to Rs.1.5 lakh under Section 80C of the Income Tax Act. This is a great option for all salaried individuals because terms deposits are a safe, reliable and trustworthy investments that promise guaranteed returns. The advantage here is that when compared to other options, term deposits are the most low-risk investments, making it an ideal choice for the average man and even senior citizens, who cannot afford to take financial risks. All banks offer this scheme, including ICICI Bank, SBI, HDFC, IDBI, RBL Bank, etc. The interest rate offered on tax saver FDs range from 6% to 7% for regular citizens. For senior citizens, the interest rates vary between 6.50% to 7.25%. 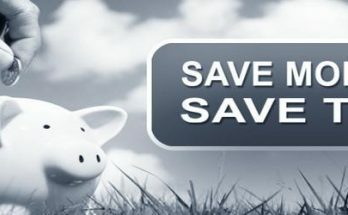 Let us understand more about tax saver FDs and how to save tax using this tool. Deutsche Bank offers a high interest rate of 7.50% on all tax saver FDs for regular deposit holders, while for senior citizens the rate of interest offered is 7.50%. Banks such as RBL, Yes Bank, Axis Bank and PNB also offer lucrative interest rates that range from 6% to 6.75% for regular individuals and 6% to 6.75% for senior citizens. There is a lot of choice and flexibility as far as tax saver fixed deposits are concerned. Prospective deposit holders can choose from a wide range of payout options. Interest can be paid on a monthly, quarterly or half-yearly basis on all fixed deposits that come under the tax saver scheme. There are also reinvestment schemes where the interest can be put in with the principal amount and compounded. For senior citizens, regular interest payment schemes act as source of supplementary income. A tax deduction for up to Rs.1.5 lakh can be claimed under Section 80C of the Income Tax Act if you make investments under a fixed deposit tax saver scheme. The tenure can extend anywhere between 5 years to 10 years. It must be noted here that the interest earned on these types of time deposit schemes are fully subject to tax. Most people assume that the interest earned will not be subject to tax. This is a wrong assumption. If you earn more than Rs.10,000 per annum in any given financial year, tax deduction, also known as Tax Deducted at Source (TDS), will be deducted from the deposit fund at the rate of 10%. If you do not provide your PAN card details, tax will be deducted at a higher rate of 20%. 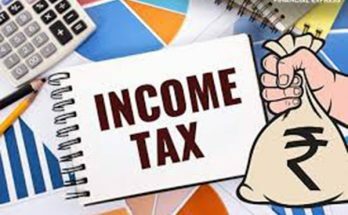 For those whose interest income does not exceed more than RS.10,000 in any financial year, there will be no TDS deducted. 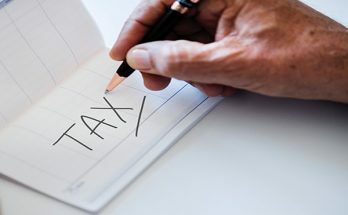 To ensure that tax is not deducted by banks, all deposit holders will have to submit the relevant forms to seek tax exemption that is applicable as per the provisions of the Income Tax Act in India. If you want to save tax and prevent your interest income from being subject to tax deduction, you will have to split your bank FDs across several banks in such a manner that you do not earn more than Rs.10,000 as interest income in a given financial year. The other option is to make an investment in a tax saver FD scheme in the middle of the financial year rather than at the beginning of the year. The investment should be split in such a fashion that, money is put in, in a particular tax saver FD scheme in the month of October. This way, the year will be split into half, and only 6 months will be considered. With this type of investment plan, the tax aspect will not arise as it is most likely that you will not earn more than Rs.10,000 in any financial year. When you are planning your taxes, it is wise to choose a fixed deposit option because you can get a good tax benefit scheme that comes will hardly any risk. Even though other investment options look more lucrative or promising, an FD scheme is the most reliable option if you are a savvy investor and are looking for secure investments that come with almost no element of risk.